Did you go to WEBIT 2018? Well, we sure did, and we can't even begin to tell you how excited we were to be part of Europe's most impactful tech and digital policy gathering that was held in Sofia, Bulgaria on June 26-27th. 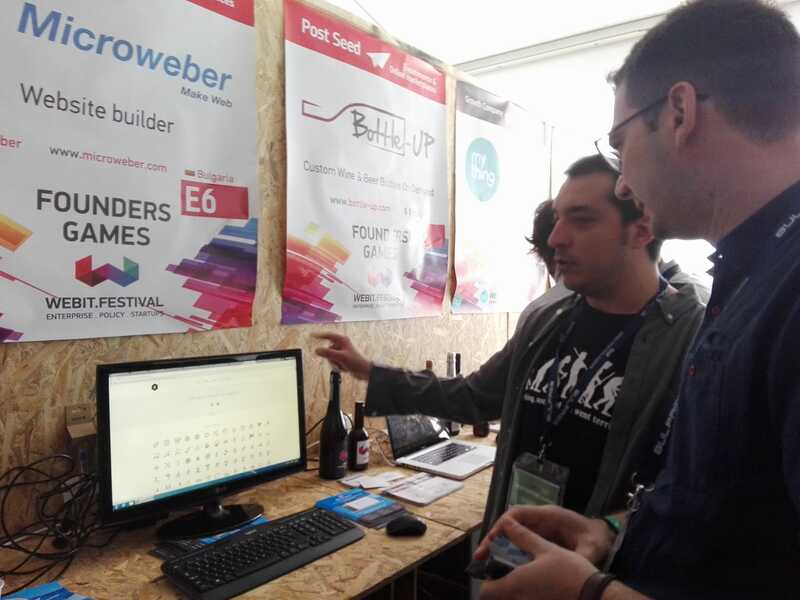 For those of you who don't remember, Microweber was part of the Startup group of exhibitors, sharing a buzzing space with dozens of Europe's most promising young companies. We spent two days in a crowd bustling with amazing ideas, superb energy and a spirit of openness and creativity. Our expo desk was visited by thousands of people, who were eager to find out more about what we do and how we do it – and we were happy to share our experience and progress with all of them. We presented our revolutionary CMS & Website Builder at the pitch stage – a very busy space that welcomed over a hundred startups who had less than five minutes to impress the jury and fight for a EUR 200,000 prize. We didn't win this time, but it was still a great pleasure and an amazing opportunity to introduce ourselves to Europe's brightest tech minds. We had a chance to meet old friends, make new ones and strike some promising partnerships. You will hear more about them very soon – so stay tuned! We can't wait for the next WEBIT.Festival – in the meantime, we'll keep on working hard to bring you the best CMS and Website Builder experience you can ask for!